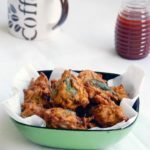 Sweet Potato Pakora Recipe – An easy Indian fried fritters made with chickpea flour and grated sweet potato. These sweet potato pakoras are super simple and need only a few ingredients to make. If you are looking for more pakora recipes or snack recipes, check the below recipes as well. 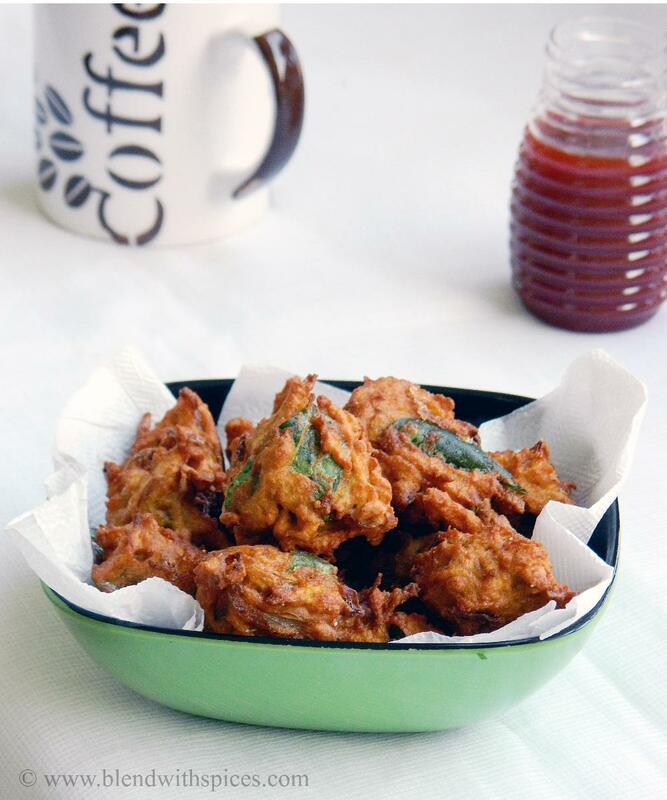 An easy Indian fried fritters made with sweet potato, chickpea flour and spices. Peel and chop the onion into thin slices and set aside. Wash, peel and grate the sweet potato. In a mixing bowl, combine the flours, grated sweet potato, onion, salt, curry leaves, turmeric, amchur and red chilli powder. Mix very well and add enough water to make a thick batter. Heat oil for deep frying. Take a small portion of besan and sweet potato mixture and drop them into the hot oil. Deep fry the fritters until golden brown and crispy and remove from the oil. Serve hot with tomato sauce and coffee. You can also add ginger garlic paste to make it more flavorful. New and innovative Pakoras looks delicious and crisp. Awesome idea. I am on the way to making potato bajji. Crispy and crunchy looking pakoras. Looks delicious. Yummy pakoda… nice click too.. Incredible and terrific fritters,cant resist. pakodas r just Yummy n mouthwatering!! Very creative recipe with sweet potato..
loved the idea.nice and crisp pakoras! Awesome pic. Sweet potato pakoda – very interesting dish, never thought of it this way. They look so tempting. Oo, so good and comforting! Sweet potatoes are nice (and more healthy) touch. What an awesome idea! Must be delicious!